The NEH has granted $290,000 to Indiana University-Purdue University Indianapolis (IUPUI), where an international team of historians, anthropologists, and medical research consultants will spend the next three years tracking the origins of HIV/AIDS. The project is titled “An International Collaboration on the Political, Social, and Cultural History of the Emergence of HIV/AIDS.” The project will place the origin of HIV/AIDS in sub-Saharan Africa in its historical context, in part by examining the social and cultural consequences of the introduction of Western medicine there. The project team will be led by an IUPUI historian of medicine, William H. Schneider. The research will begin with a meeting in February 2014, with periodic meetings thereafter to review research. It will conclude with the publication of a book in 2016. To learn more, click here. 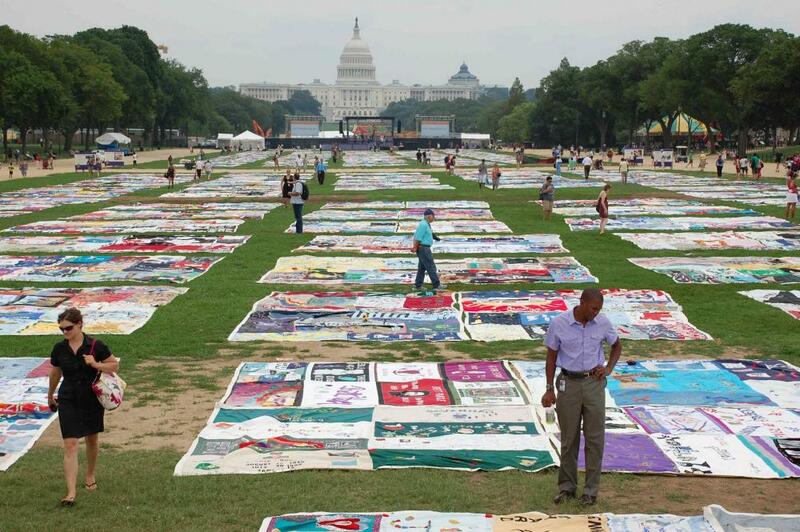 The AIDS Memorial Quilt project, which began in 1985, enables families and friends to create 3-foot by 6-foot memorial panels of their loved ones who fell victim to AIDS. The quilt now consists of more than 48,000 panels, representing more than 94,000 victims. When laid end to end it stretches to more than 50 miles and would take up to 33 days to be viewed in its entirety! This project is a collaboration between Microsoft Research Connections (partnered with the University of South Carolina Annenberg Innovation Lab), Brown University, the University of Iowa, the NAMES Project Foundation, and the NEH. Professor Anne Balsamo of the University of South Carolina received an NEH grant to digitize the quilt, making it accessible online, on tablets, and by mobile app. The project is also compiling the stories of the individuals commemorated in the panels.